Published by Merrion Press October 2018. 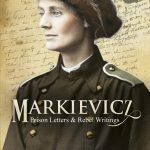 A completely revised and updated edition of Markievicz’s “Prison Letters” first published in 1934. Cost is €20 plus P&P. 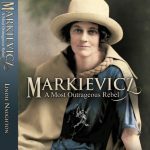 Published by Merrion Press in September 2016; the first new biography of this remarkable woman in over twenty years. The second edition, from 2018, is available in most book shops, but if you order here, will sign it for you. Cost is €15 plus P&P. ‘Let’s Run” by Lindie Naughton is a handbook for Irish runners – all you need to know about getting getting started, diet, warm-ups, racing – and how to get faster. Complete with a full set of training schedules for 5km, 10km, half marathon, marathon and triathlon. This book is out of print, though stray copies are knocking about and I have a few copies left. Yours for €4 plus P&P. “Lady Icarus – the Life of Irish Aviator Lady Mary Heath”. Quality hardback with lots of pictures. Price €22 to include P&P (€8 in Ireland); €26 to UK (incl €11.55 postage) and €30 rest of the world (incl €17.90 postage). Faster, Higher, Stronger – a History of Irish Olympians: by Lindie Naughton and Johnny Watterson. All you ever wanted to know about every Irish Olympian. Price €10 plus P&P. “How to Mow the Lawn – Gardening for Beginners”. Gardening is easy – honest. Price €5 plus P&P.